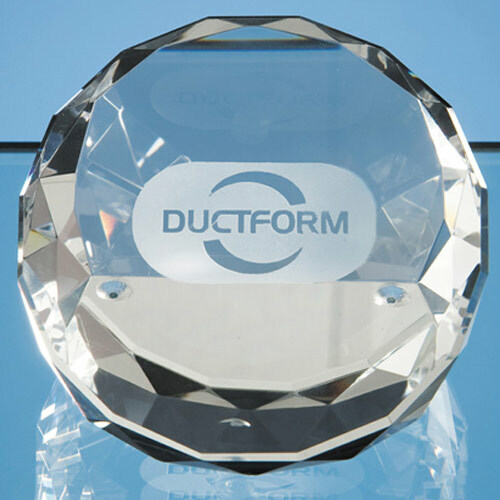 The brilliant hand polished facets on the side of the sliced wedge paperweight reflect the light to give a stunning effect when the paperweight is put on display. It is ideal as a personal or business gift and can be engraved with any logo, crest or message. The paperweight is supplied in an individual presentation box.